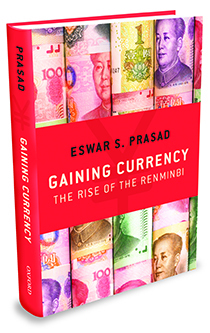 In Gaining Currency, leading China scholar Eswar Prasad describes how the renminbi (RMB) is taking the world by storm and explains its role in reshaping global finance. This book sets the recent rise of the RMB, China’s currency since 1949, against a sweeping historical backdrop. China issued the world’s first paper currency in the 7th century and in the 13th century, Kublai Khan issued the first-ever currency to circulate widely despite not being backed by commodities or precious metals. China also experienced one of the first episodes of hyperinflation and among the earliest currency wars. Gaining Currency traces the RMB’s ascendancy from revolutionary symbol to reserve currency held by foreign central banks. Prasad reveals the interconnections linking China’s growing economic might, its expanding international influence, and the rise of its currency. If China plays its cards right by adopting reforms that put its economy and financial markets on the right track, the RMB could rival even the euro and the Japanese yen. 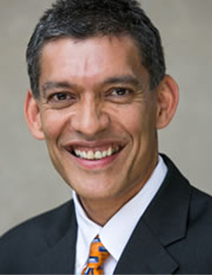 Prasad shows, however, that while China has successfully adopted a unique playbook for promoting the RMB, many pitfalls lie ahead for its economy and currency that could limit the RMB’s ascendance. The Chinese leadership is pursuing financial liberalization and limited market-oriented reforms, but it has unequivocally repudiated political, legal, and institutional reforms. Therefore, Prasad argues, while the RMB is likely to become a significant reserve currency, it will not attain “safe haven” status as a currency to which investors turn during crises. In short, the hype predicting the RMB’s inevitable rise to global dominance is overblown. Gaining Currency makes a compelling case that, for all its promise, the RMB does not pose a serious challenge to the U.S. dollar’s dominance in international finance.